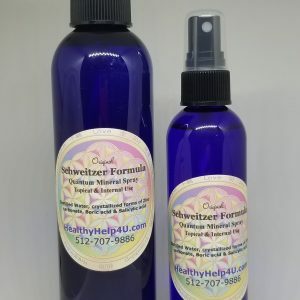 Super hydrating serum which increases the skin’s ability to retain moisture. Hyaluronic Acid with Vitamin C Serum – This is 60% strength, which in most skin care products there is only 1% used. HA hydrates and helps skin’s ability to retain moisture. Since this is loaded with vitamin C, the powerful antioxidant takes charge of free radicals and repairs damaged skin while lifting and toning. 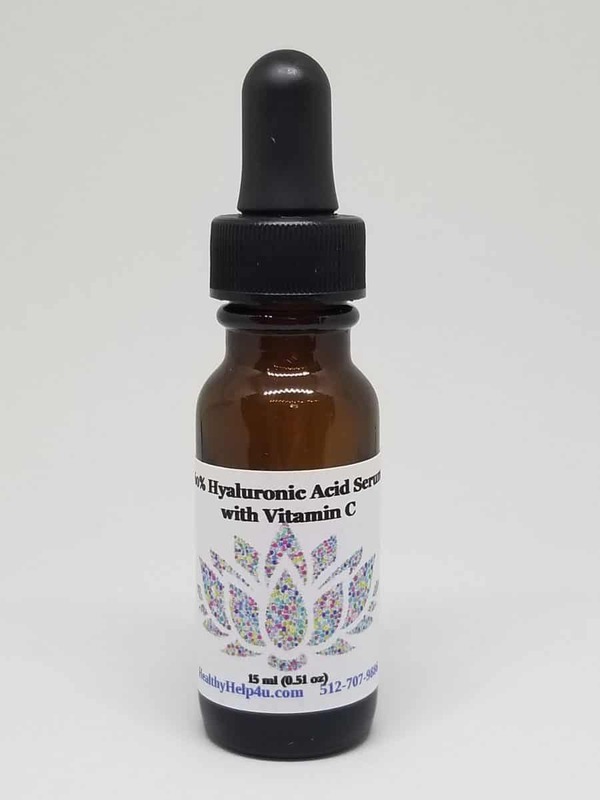 The hyaluronic acid works with vitamin C, promoting vitamin C absorption while hydrating the skin by maintaining moisture. This is why I have it in my Circulate Now vitamin lotion. Our body produces hyaluronic acid naturally, which holds water and forms a substance that is gel-like. It hydrates the hair and skin, and fills our eyes. Tissues surrounding our nerves and synovial fluid which is between our joints include hyaluronic acid. This substance acts as a shock absorber in joint tissue. Friction is reduced by this liquid cushioning and lubricating the joints. The body is helped by this substance to make new cells and flushing out waste from cells, including ones with a small amount of blood circulation. Vitamin C helps to fade away fine lines, smooths roughness, dark spots can lighten. Sun damage signs are repaired and boosts your own healing process of your skin. There is a burst of a production of elastin and collagen, which are proteins helping your skin to remain youthful and firm. When taken internally it helps to lubricate the joints, adds elasticity and collagen. 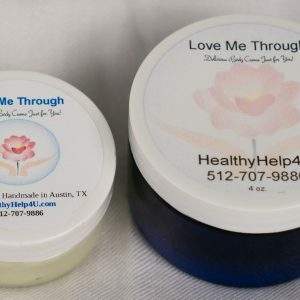 All of My Healthy Skin products are proprietary blends of the highest available essential oils and carrier oils that are Natural, Eco Friendly, Vegan and Made with Loving Hands in Austin, TX. My products DO NOT CONTAIN: Preservatives, GMOs, Parabens, Sulfates, Fragrance, Chemicals, Gluten, Synthetic Dyes or any type of Animal parts. There is never any animal testing, just testing on friends and family. Every formula has its own Trinfinity 8 protocol that I have put together with the guidance from above. Every blend is run through its protocol 3-times to align the algorithms to maximize healthy, healing care. The information provided is from timelesssha,com and Google. These statements and/or products are not intended to treat, cure, prevent or diagnose any health condition, disease, or issues. These are my personal opinions and experiences using this product and it is stated in general terms and should not be taken as medical advice. I am a traditional naturopath, but I am not a doctor, physician, or medical expert in any other sense of the word and/or meaning. Since this product is made with essential oils and other listed ingredients, it is always best to perform a patch test on your skin when using new products, especially if your skin is typically sensitive. If your skin becomes irritated in any way from the use of this product, wash the product off with soap and water and discontinue use. If you are pregnant or nursing, and concerned, please discuss with your physician before using. This product is primarily intended for topical use, though sometimes dogs enjoy it and we have not had any issues… other than being licked. If an allergic reaction occurs, HealthyHelp4U, MyHealthySkin.Love nor Beth Carpenter, cannot be held liable. Please review my ingredient listing prior to use. Use this product at your own risk.